The Snowflake Collector, alone but not lonely, lives at the end of the valley, the far end, where in the multiple dimensions of snowflakes he discovers a purpose to his life and finds a way to share this with the world through the encompassing power of love. 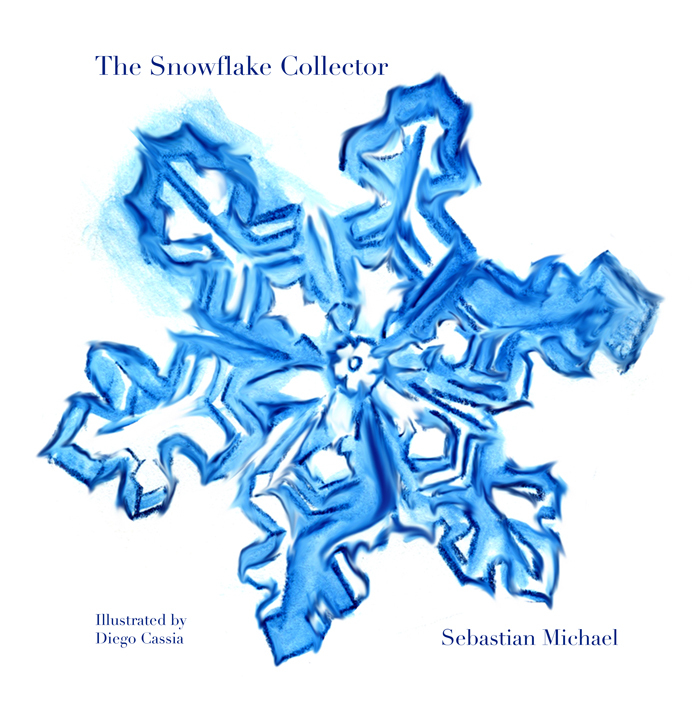 The Snowflake Collector by Sebastian Michael first appeared as part of EDEN by FREI and now, beautifully illustrated by Diego Cassia, becomes a hardcover print and ebook. Available now from all major book vendors, both brick and online. If you want to support your local bookstore, you can order it there, quoting ISBN 978-1-68418-180-3. Or order it now from Amazon.